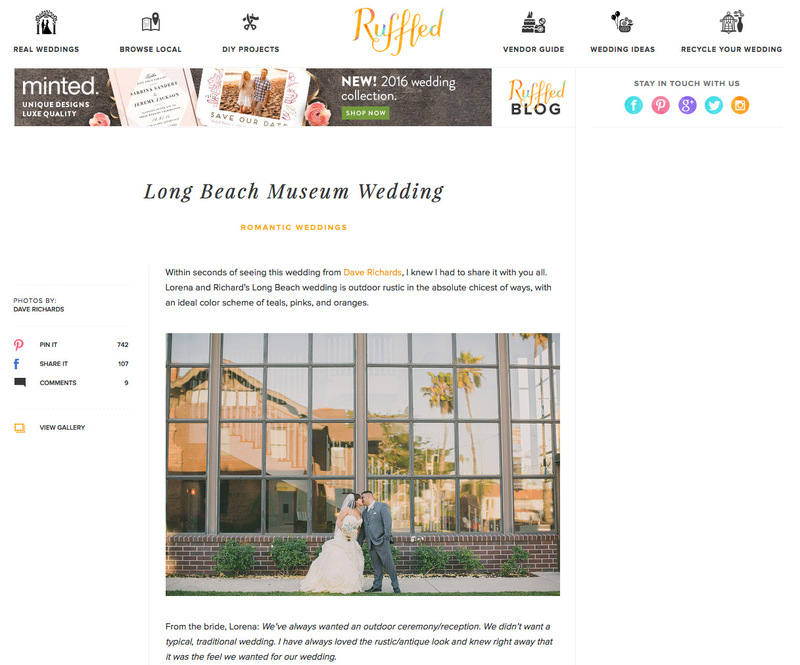 If you haven’t checked out Ruffled, it is a must visit wedding blog full of fabulous wedding ideas! We are excited to say that they have featured Lorena & Richard’s wedding at the Long Beach Museum of Art. You can check out all of the fun details plus notes from the bride on Ruffled plus more photos from the wedding day on our original blog post. If you haven’t checked out Ruffled, it is a must visit wedding blog full of fabulous wedding ideas! We are excited to say that they recently featured Gloria and Marc’s Palm Springs wedding at the Parker. You can check out all of the fun details plus notes from the bride on Ruffled plus more photos from the wedding day on our original blog post. We recently stumbled upon Enfianced, which is great online wedding guide which features the top vendors for California brides. Our recent wedding at La Venta Inn in Palos Verdes was featured on their website earlier this year and we are excited to share the link with you! Be sure to check out Michelle and Zack’s featured wedding post plus more photos from their amazing wedding day on our original blog post.